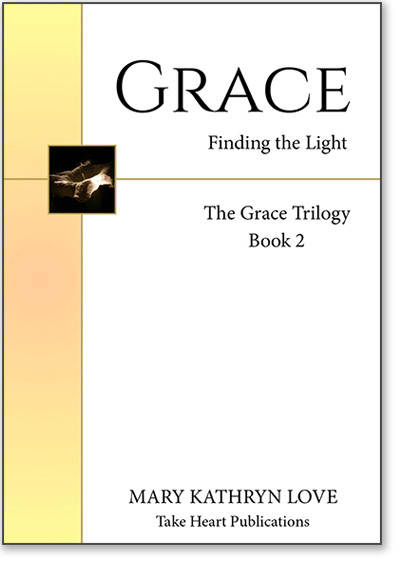 The Grace Trilogy is a story of three hearts being opened and transformed. 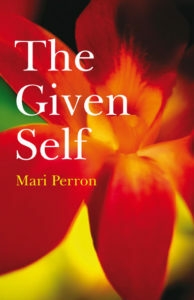 Mari Perron observed the pregnancies of her two friends and co-workers, Julieanne Carver and Mary Love, from the slight remove of being the one non-pregnant member of a three person team . . . until Julie delivered a healthy baby boy (Peter), and Mary birthed a baby girl named Grace who would live only five weeks. 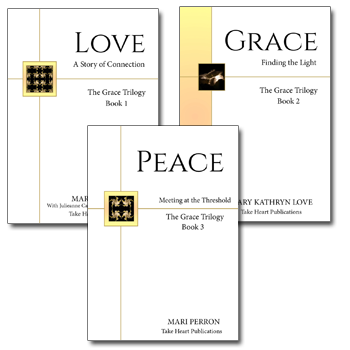 The bonds of grief and compassion then brought the three women together in such profound friendship that they called themselves “spirit sisters.” It soon became clear that each woman’s hidden sadness was coming forward to be seen and transformed. They found, quite unexpectedly, that they had been thrust upon a shared journey of discovery…a spiritual journey. Their discovery of the connections that transcend the boundary of the body and even of death, were made holy by Grace, the catalyst for the journey. First published in 1997, the story is still relevant now. As a whole, it is unusual in several ways. 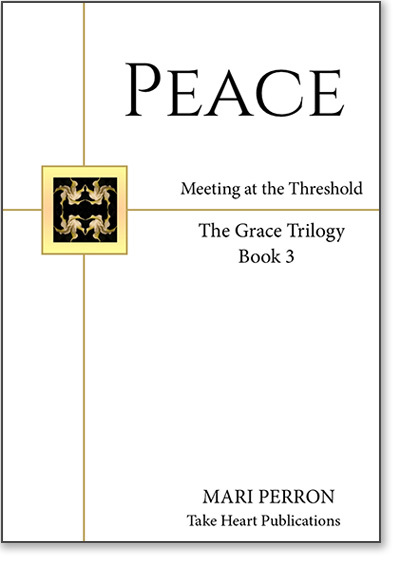 It has a unique structure for telling of the same time period through three distinct narratives. 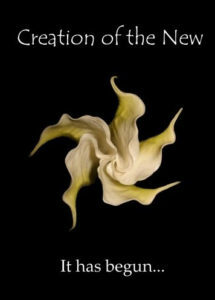 It is uncommon for presenting a tale in which friendship is the vessel for movement on the spiritual path. And it is significant for all that is portended within its pages.